Leesa Mattress Review: is a Mattress in a Box Really Comfortable? 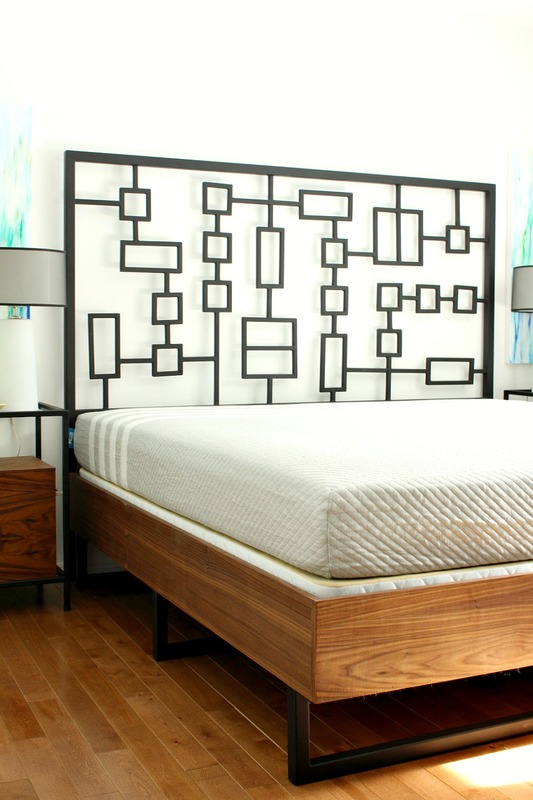 Disclosure: Leesa® provided a king mattress as compensation for writing this Leesa mattress review. However, all thoughts and opinions stated here are my own. After finishing our DIY walnut plywood bed, Hubby and I started to casually shop for a mattress. We bought our mattress 10 years ago and after hauling it back and forth across the province, it was starting to show its age. Actually, I started to show my age, waking up each morning trying to figure out if it was my bones or the mattress that was groaning and creaking so loudly. When Leesa® Canada reached out to me to review one of their premium foam mattresses, I was thrilled – if a little reticent. I had seen the advertisements on TV, read the glowing customer feedback, and even poured over the positive reviews on other blogs, but I was still a little nervous about how comfortable a foam mattress could be because our guest bed has a solid foam mattress that I find very firm and somewhat uncomfortable (but it was made in Ottawa and I always liked supporting local). I was worried this would feel like that one does: unforgiving, unyielding, super firm and clunky. But I was too curious to turn down the offer! I thought that, if anything, a Leesa mattress review would help my blog readers. We waited until evening to test it out and, surprisingly, it’s really comfortable. Unlike the solid foam mattress in our guest room, this mattress feels like it molds to the contours of my body, cradling every inch – without being too soft. I have struggled, off and on, with back pain and I’m really sensitive to mattresses but this one feels really good. How do I describe this? Like my bones kind of sink into the mattress, but still feel supported. Honestly, it’s difficult to describe because after the hundreds of mattresses I have slept on over the years, in hotels and the homes of friends and family, this feels unlike any other. It just feels really good – which isn’t the most helpful feedback for a Leesa mattress review, but it’s really difficult to explain because it’s so unique. Inside the mattress is a different composition than what I was expecting. The top layer is a 2″ cooling foam, the middle is a 2″ memory foam, and the bottom layer is a 6″ dense core support foam, which results in a mattress that feels like it’s custom designed. It’s really hard to believe this was all crammed into that small box! My fears were all unfounded because I am really impressed. Hubby and I both find it really comfortable and I no longer wake up with aches and pains that I think the slumps and dips in our poor old mattress were causing. The only weird thing is that even though it’s now firmed up, I still can’t really sit on the edge of the bed because it just collapses under me, which is an adjustment but not a deal breaker. If you’ve been hearing about the Leesa® mattress to and find yourself wondering if it might be a good purchase, know that it comes with the guarantee of a 100 night risk-free trial and free shipping. 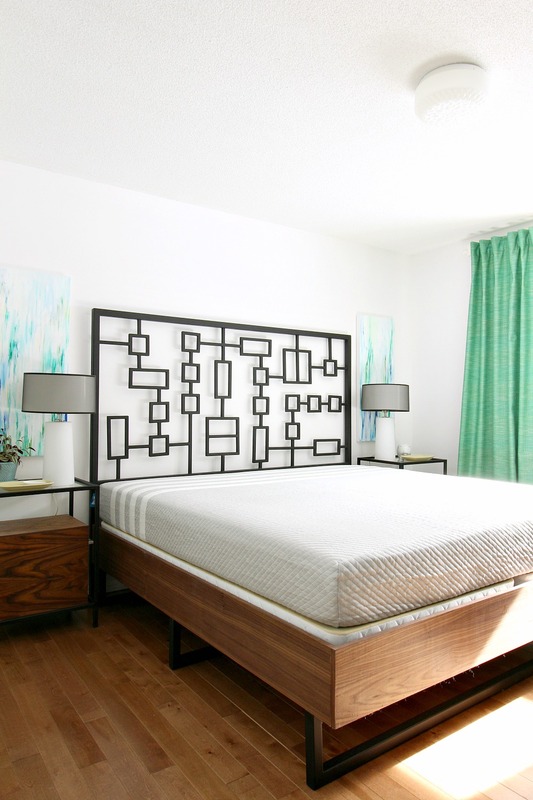 Mattresses are a big purchase and this mattress is no exception (the king rings in at $1290CAD, which isn’t peanuts), so I like that you can have some time to make sure it’s the right fit. Judging by the overwhelmingly positive feedback from both bloggers who received this mattress for free or were compensation to review it – and customers who parted with cold hard cash to buy it, I think this mattress is a solid buy. 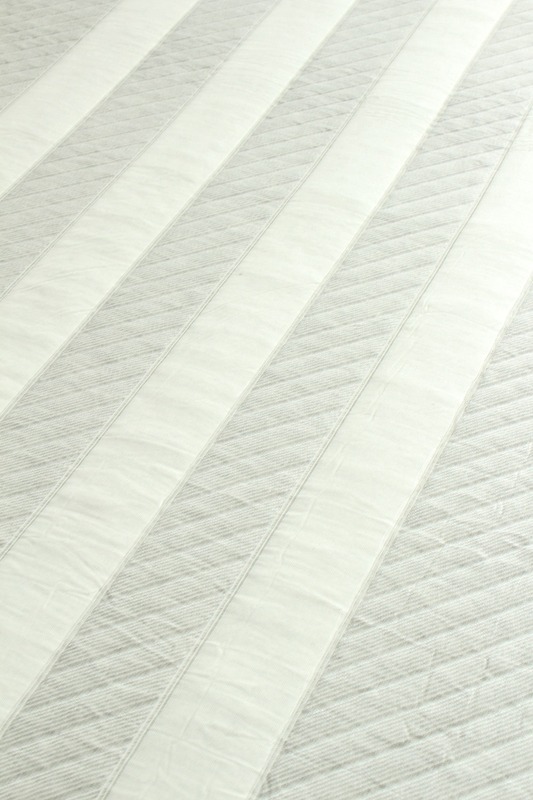 Has anyone taken the plunge and ordered a mattress online? This technology just boggles my mind. If you’ve been wanting to try out the Leesa®, there’s a promo code for readers to get get $100CAD off the price: lakehouse. I was provided the Leesa® mattress for review, but was not asked or encouraged to provide a positive Leesa mattress review. I think the unsolicited, positive feedback speaks volumes. Plus the company donates a mattress to a shelter for every 10 that are sold. Plus they’re made in America! Next Post Lake Life Lately: I Have a New Job! We purchased a Leesa mattress about a month ago and love it! I'm a side sleeper and was waking up during the night from intense pain in my hip and shoulder of the side I was laying on (we had a spring mattress). The pain was gone by the second day of using the Leesa! I read so many reviews and researched what would work best for my husband and I (based on sleeping positions and weight/height) and the Leesa was by far the top choice. I'm SO glad we decided to try it. I'm so happy to hear you love yours and the pain you were experiencing went away. That's fabulous!!! Thanks for sharing your feedback, I'm very curious about what people think of theirs. I think our old mattress was really rough on our bodies too. It was definitely time for a change! "In the mean time, has anyone taken the plunge and ordered a mattress online? "Why yes I have, three.We are fans of foam mattresses, owning three temperpedics of varying firmness. When we renovated our cabin, I had four platform beds and I knew I wanted foam/memory foam mattresses because of the platform bases. We purchased three Capsers on line and love them.The main motivation to purchase the Caspers was ease of delivery and then cost, they were considerably less expensive than the Tempurpedic we purchased for our room. I have slept on he Caspers many times and find them very comfortable.It's interesting that the business model, packaging and branding of Casper looks very similar to he one you have. I wonder if it's the same company? I think a few companies have adopted this model and there's a bit of competition in the market place. That's definitely encouraging to hear you have purchased so many foam mattresses. The ease of delivery is amazing I totally agree! I am curious about how this one will feel over time. You're making me less nervous about that! Our oldest Tempurpedic is well over 12 yo, if not older, and it's as good now as it was when we got it. I remain impressed with the Caspers for the price. I think they are far more comfy than the nearly new traditional matresses that came with the place and we gave away. We haven't ordered a mattress online but have experience with foam mattresses. My husband and I bought a natural latex mattress from ikea and found it incredibly comfortable (albeit hot in the summer- it heats up with body temperature and holds the heat). But my husband found as he was getting older, it didn't support his back enough- I found it perfect for me (I've got several years on him and my back isn't great but the mattress was perfect for me- sleeping position and body weight make a difference in support requirements though) That latex mattress is still in excellent condition, so we passed it on to my daughter. We replaced it with a foam topped, pocket coil mattress, again from ikea. This one supports my husband's back well and we both find it incredibly comfortable. However, again, the foam heats up and we find it too warm in the summer. I've tried different toppers to prevent this but to no avail. I'm really curious to hear how yours is, with the top cooling foam, come summer. I hope it works well to keep you cool as I am otherwise a big fan of foam mattresses. I am curious to see how this feels in the summer, with the issues you raised. I will say, though, that with the breeze from the lake our house rarely feels hot in the summer. It's positioned nicely so it's bright but we don't get a lot of direct sunlight – the houses across to the right get roasted. I wear long sleeves inside even in the summer, even when it's warm outside. It's kind of magic. But I'll definitely post an update – this summer might shape up to be a hot one! We also got a new mattress recently although it didn't come in a box… The unfurling process of yours would have been fascinating to watch! It was so fast – I didn't realize that it would pop up so quickly! It was mesmerizing, to be sure. Few people are in-tune with the online mattress world, but they really are the way to go! Best bang for your buck by far!